The Asian Festival of Children’s Content (AFCC) is an annual festival that celebrates and aims to promote the creation, development and appreciation of quality Asian content for children and young adults. Organised by the Singapore Book Council, the festival comprises presentations, panels, masterclasses, workshops, along with a book fair showcasing a wide selection of books from local and international publishers. The AFCC is a unique event in Asia that provides an opportunity for academics, writers, illustrators, editors, publishers, agents, distributors, parents, teachers, and librarians to meet, learn, hone their craft, and develop cross-cultural collaborations. Papers will be selected according to the content of the topic and its relevance to the festival. Deadline for submissions is 31st January 2019. 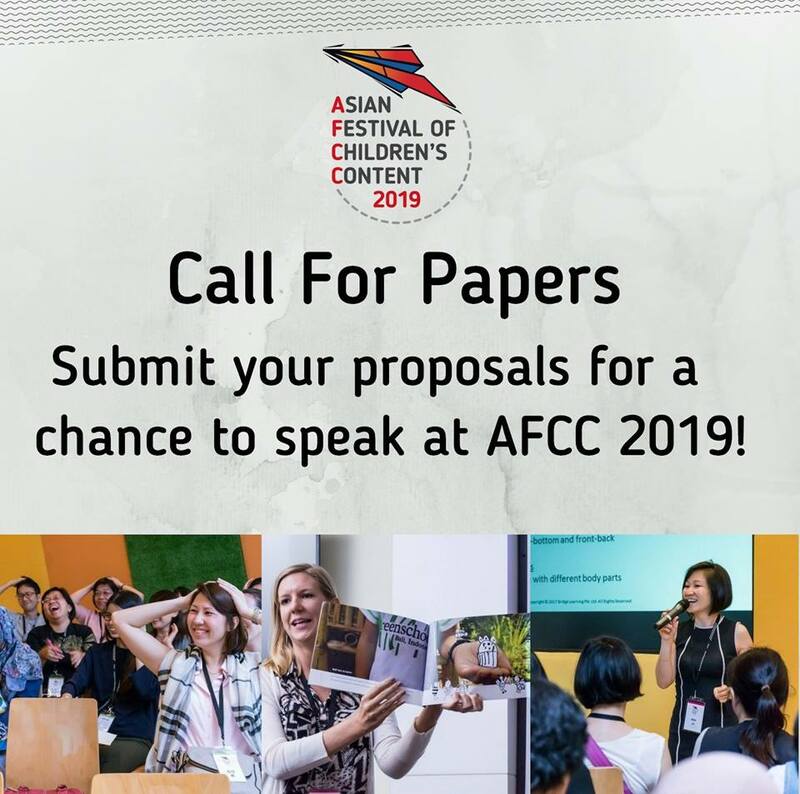 The 10th edition of the AFCC will take place from 5 to 8 September 2019 at the National Library Building, Singapore.